https://nicebeauty.com/eu/ghd-platinum-professional-styler-black.html 59683 ghd Platinum Professional Styler Black (U) 194.70 0 EUR OutOfStock /Brands/GHD 0 ghd Platinum Professional Styler Black is the best styler from ghd ever. An ultimate styling tool that ensures the absolute best result and leaves your hair healthier and shimmering with just a stroke. ghds patented groundbreaking trizone technology employs three fast-sensing sensors in each heater plate to ensure that the stylist maintains a constant temperature of 185 ° C. The secret to an ultimate result is not high heat, but even heat! The sensors maintain this "safer-for-hair heat" from rod to tip throughout the styling, protecting the hair from heat damage and utilizing many broken hairs. The "Sleep Mode" feature ensures that the stylus turns off automatically if it has not been used for 30 minutes. The styler is designed in the wishbone hinge, ensuring that the plates are aligned and the hair is kept perfectly in place throughout the styling. ghd platinum is an exclusive and uncompromising styler for you who want a quick result where only the best is good enough! - Turn on your ghd Platinum Styler. When the iron starts to bip, it is ready for use. - If you want to smooth your hair, place the styling iron at the roots in dry hair and straighten the iron. - To curl the hair, place the tip of a haircloth on the iron and curl up. 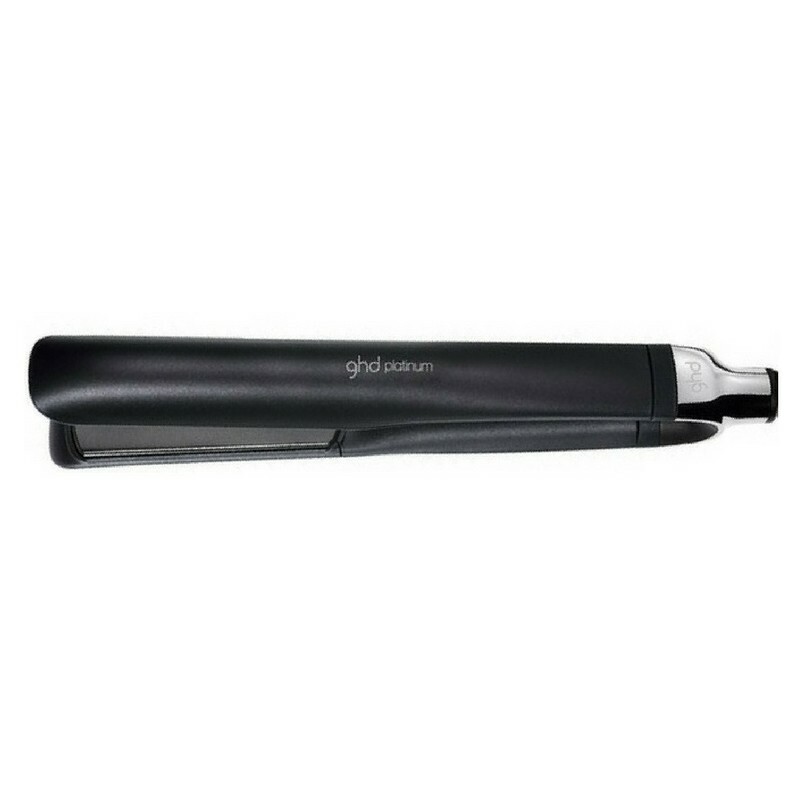 ghd Platinum Professional Styler Black is the best styler from ghd ever. An ultimate styling tool that ensures the absolute best result and leaves your hair healthier and shimmering with just a stroke. ghds patented groundbreaking trizone technology employs three fast-sensing sensors in each heater plate to ensure that the stylist maintains a constant temperature of 185 ° C. The secret to an ultimate result is not high heat, but even heat! The sensors maintain this "safer-for-hair heat" from rod to tip throughout the styling, protecting the hair from heat damage and utilizing many broken hairs. The "Sleep Mode" feature ensures that the stylus turns off automatically if it has not been used for 30 minutes. The styler is designed in the wishbone hinge, ensuring that the plates are aligned and the hair is kept perfectly in place throughout the styling. ghd platinum is an exclusive and uncompromising styler for you who want a quick result where only the best is good enough! - We recommend that you apply a heat-protective spray before use.